Garlock Pipeline Technologies (GPT), the world's leading manufacturer of safe, high-performance gasket and sealing solutions, is pleased to announce the release of the all-new Diamond Hyde™ and Diamond Hyde™ Extreme HCS Washers. The new isolating washers resist not only chemical and physical abrasion, but also prevent dielectric corrosion caused by improper installation on the flange - a common cause of flange isolation failure. The Diamond Hyde™ HCS (hardened, coated steel) isolating washers are shielded by three layers of GPT's proprietary X37 coating, which consists of a corrosion-resistant pre-treatment and multiple coats of a resin bonded modified polytetrafluoroethylene (PTFE) with hardening agents. The washers are more than twice as resistant to corrosion and offer more than three times the abrasion resistance than popular Xylan®-coated washers. When exposed to a five percent salt spray, the Diamond Hyde™Washers exceeded 5,000 hours without corrosion. Xylan®-coated washers exhibited rust on 20 percent of their surface after only 1,800 hours. Diamond Hyde™ HCS Washers also mitigate incorrect installation, a common source of failure in pipe flanges. The resistivity of the test joint was evaluated using just one washer instead of the recommended two, and the isolation value of 540VPM (ASTM D149) was unaffected. They also resist torque damage, which prevents loss of integrity due to over-tightening of the bolts, a common mistake made by installation technicians. 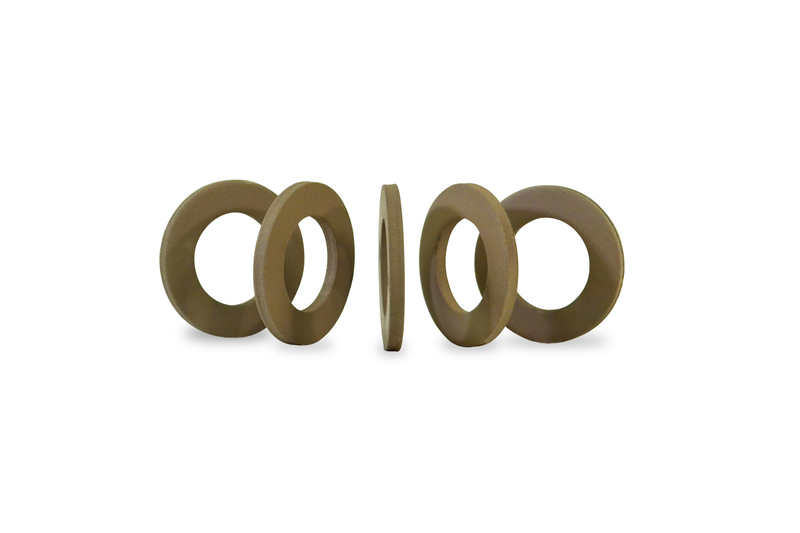 Diamond Hyde™ HCS Washers feature a low rate of water absorption at .01-.02 ASTM D570 and perform at a maximum temperature of 425˚F (218˚C) and a minimum temperature of -50˚F (-45˚C). Pipeline integrity professionals in oil and gas, power generation, water and wastewater, utilities, shipbuilding and other demanding industries can purchase these washers individually or as part of a flange isolation kit. For the most severe environments, the GPT Diamond Hyde™ Extreme washers feature the same proprietary X37 coating on a 316L Stainless Steel core to withstand conditions on offshore oil platforms, abrasive sprays or high concentrations of hydrogen sulphide in sour gas. "We're committed to continually developing new and innovative solutions to better resist the conditions that pipe flanges must endure in these demanding industries," GPT Senior Global Product Manager Tim Hurley said. "The new Diamond Hyde™ and Diamond Hyde™ Extreme HCS Washers offer pipeline operators and system designers an unprecedented level of abrasion and corrosion resistance, ensuring both safety and peace of mind." 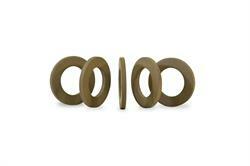 Learn more about GPT's full line of corrosion resistant gaskets and sealing solutions. Garlock Pipeline Technologies an EnPro Industries, Inc. (NYSE: NPO) company, is the world's leading manufacturer of critical-service flange systems, spring-energized jacketed seals and electrical flange isolation kits for the oil and gas, water/wastewater, chemical, energy, construction and infrastructure industries. Learn more at www.gptindustries.com. GPT Diamond Hyde(TM) HCS Washers.